I make it a habit of doing long term testing on every coating product that we will use here in the shop. I like to see how a specific product will perform in my exact climate and weather conditions so that when I offer it to a customer, I know it will perform as expected. I applied 1 coat of 22ple VX Pro 2 to my vehicle a little over 1 year ago to monitor it’s performance throughout the heavy pollen season in the Spring, the high heat and humidity in the Summer, and the harsh salt, ice, and snow in the Winter. Since the Midwest has such a wide range of weather conditions, I feel it is a great proving ground for coatings. When judging the performance of a coating, I am looking at the overall gloss and appearance of the coated area, ability to retain hydrophobic properties, and the ease of maintenance washes/ability to shed dirt easily. These are the major benefits that we promote to our customers, so I want to ensure all of our coatings can maintain these characteristics throughout the various seasons. In the warmer months, I tend to wash my vehicle every 1-2 weeks as time and weather allow. If the vehicle is only lightly soiled, I prefer to do more frequent rinseless washes with Optimum No Rinse to save time, but will usually perform traditional 2 bucket washes at least once a month. I often use CarPro Reset for these washes as I have found it to have great cleaning abilities, outstanding lubrication, and it does not leave behind any other substances on top of the coating. In the winter, when temperatures are often below freezing for weeks at a time, and roads are commonly covered with salt, it is much harder to keep the vehicle clean. The slushy, salty mess will cover the vehicle quickly, even with my short commute. The sides of the car take the biggest beating here, and the buildup is heavy enough to completely change the color of the car. Since I have an indoor wash bay, I am able to pressure rinse the vehicle often to remove the bulk of the accumulation, and I will hand wash the vehicle as needed to keep the paint clean. All things considered, routine cleaning is the most important part of maintaining the hydrophobic properties of the coating, so I do my best to keep up with a good maintenance routine throughout the year. I consider my maintenance practices to be far superior to most vehicle owners who often neglect to wash their vehicle for months at a time throughout the harsh winter months which can lead to drastic changes in hydrophobic properties due to the contamination and grime on the surface. The following video shows the water behavior on the side of the vehicle during a maintenance wash this Spring. Notice the water still sheets quickly and easily off of the side of the vehicle despite having gone through months of salty build up. This is great! Water beading was also very strong after being completely cleaned and decontaminated. Gloss was still very impressive as well. Overall the coating was still performing well in all categories. I have recently sold this vehicle, so my personal testing will end here, but based on my results, I have to recommend 22ple VX Pro 2 as a great coating option. Remember to keep up with your maintenance routine, and I am confident you will see the same great results as I did! Ah you’ve sold it. I’ll be looking for the new vehicle. Great writeup as usual. Thanks! 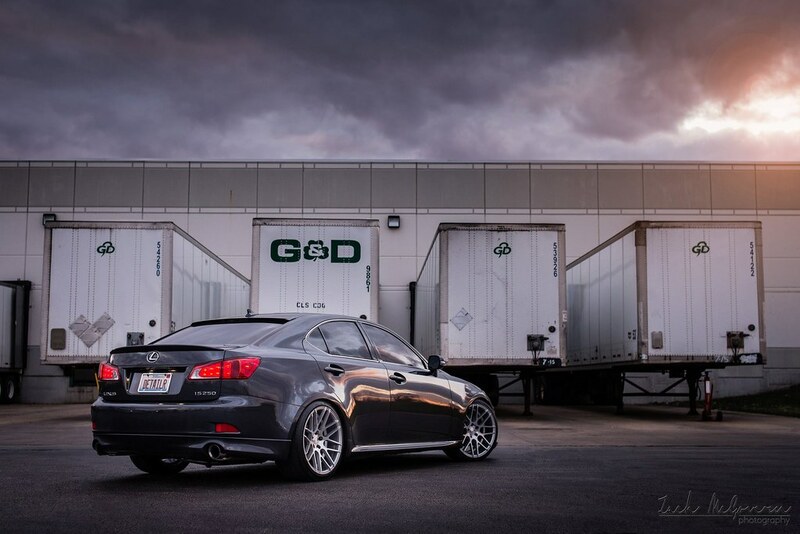 Yep, I traded the IS250 in on an ISF 🙂 You’ll start seeing it in some of my product reviews in the near future as I often use my car and my wife’s car for these write ups. Real world testing, were you topping up with vs1 often or just washing with reset ? Nice work Zach! – Would love to get more involved with 22PLE down in Aus. Do you guys have trouble with 22ple.com?? I get nothing but their logo??? I had not clayed the vehicle since applying this particular coating, however detailing clay would not negatively effect water beading. 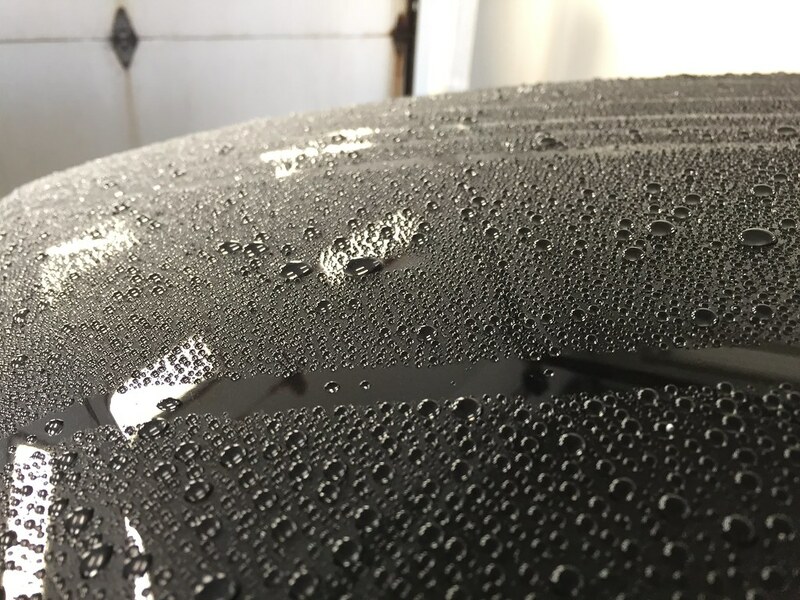 In fact, if your coating is not beading like it used to, it is usually due to surface contamination and detailing clay, along with appropriate chemicals, may help to restore the hydrophobic propertires. Hi Peter – I consider machine polishing to be proper prep, even on brand new cars. In my opinion, there is no other way to completely guarantee that the surface is free of any residual products (wax, sealant, glaze, etc). Our new car prep would include a very thorough exterior wash, decontamination, paint correction (if needed), polishing, and then wipe down with a solvent such as IPA, Eraser, or Similar (22ple recommends using IPA) before applying the coating. You can use HPC on clear coated wheels, but VM1e should be used on bare metal. What is your ONR process when performing rinseless washes? Do you use multiple microfiber towels or a wash mitt? Hi Ray – I use multiple plush microfiber towels folded into quarters. I will wash a small section, then flip to a clean side of the towel for the next small section, and repeat throughout the car, changing towels as needed. I will wash a couple of panels at at time before I spray them with a quick detailer and then dry. Let me know if you have any other questions! Awesome! I generally use a wash mitt for ONR but will be switching to microfiber towels in ONR solution. Have you had any issues with marring from this process? I generally will only be doing rinse less washes if there is dust buildup on the car. If it has rained or the car has “dirt” on it I will just proceed with the traditional 2 bucket with grit guard. I’ve never had an issue with either method. The key is to use very light pressure, do not work on a car that is excessively dirty, and always use clean wash media. Thanks for all the great info you provide. I applied 22ple VX Pro2 Glass Coating to my BMW X1 about three months ago and would like to know the maintenance of finish? Can or should I clay bar and wax or are there better options to maintain the finish and shine. Hi Felix – good maintenance is very important to keep your coating performing at the highest level. Make sure you are washing it regularly, and if needed, decontaminate the surface using something like Iron X and fine grade clay. Coatings do resist contamination quite well, so do not clay if it is not needed. I would not recommend using wax on top of a coating. Instead, use a product like 22ple VS1 for added protection, gloss, and hydrophobic properties. Thanks for the guidance, which Iron X product would you suggest? Nice write up. I’m going to have to try this. 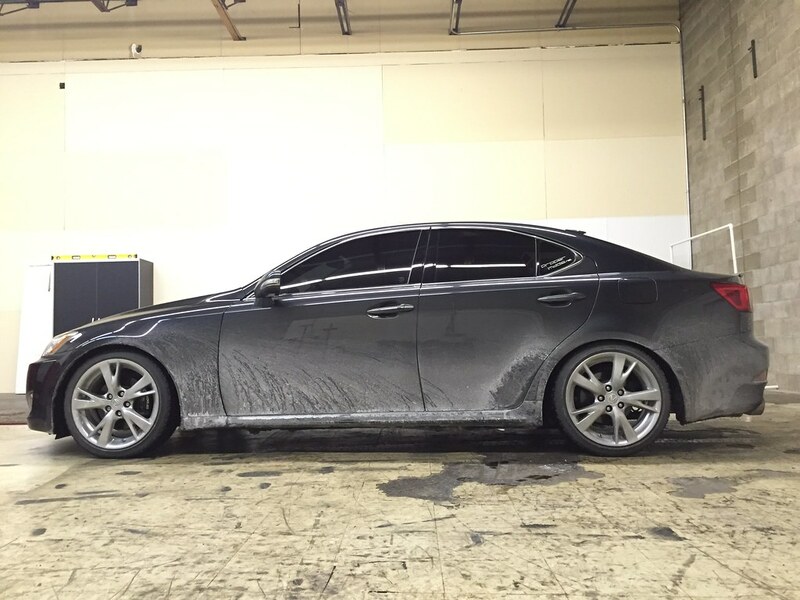 I used 3D international two part sealant on the new 2016 Accord Touring. My question is this: if using iron x to remove iron deposits and then claying, do either of these steps remove any of your coating? What about bug and tar remover? Thanks for your input! Hi Tyler – the only way to physically remove a true paint coating is with an abrasive (think compound or polish). Iron X, Clay, and Tar Remover, etc are not abrasives and therefore do not simply remove the coating. What they can do is alter the surface tension and temporarily or permanently effect the hydrophobic properties of the coating, which is a property that most users love about coatings. I have never had an issue with IronX, but since Bug & Tar removers are usually strong solvents, they can be more prone to reducing the water beading & sheeting of a given area. Hope that helps. Let me know if you have any other questions. 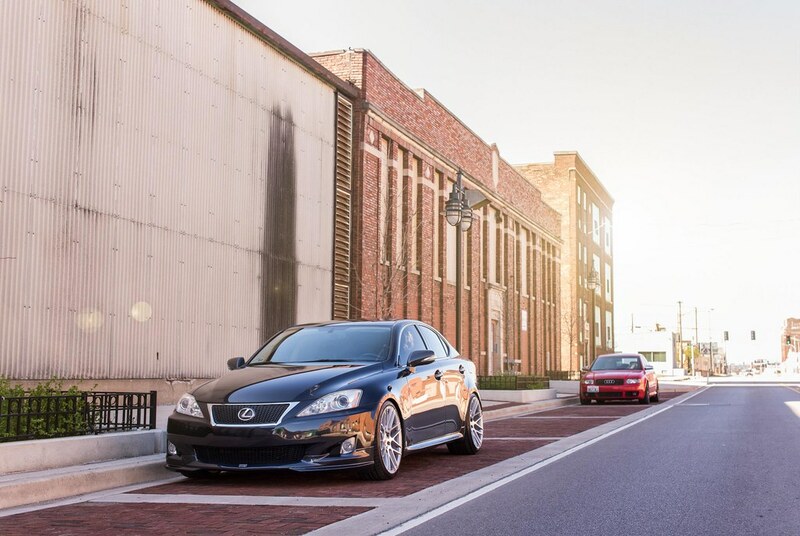 Hi Zach, how would you compare 22ple Elemento Mistico Forte against Feynlab Ceramic Plus and the best GTECH product. I’m havineb a new Merc E300E coupe in January and want to have it detailed with the best long term product. Hi Stuart – I have not used the Feynlab products, so I’m sorry, I cannot honestly answer your questions.